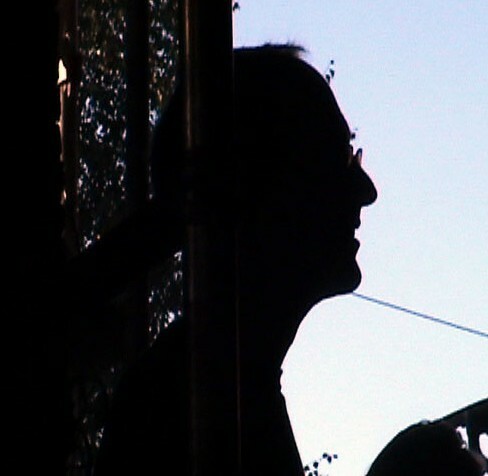 Un saggio di Chris Cutler dal titolo 'Thoughts on music and the avant garde - Considerations of a term and its public use', scritto nel maggio 2005, è disponibile da pochi giorni al sito di Perfect Sound Forever. 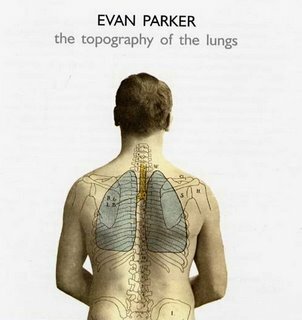 La pubblicazione in questi giorni dello storico The Topography of the Lungs per la prima volta su cd è notizia assai gradita ai sostenitori della musica improvvisata che hanno lungamente e spesso invano cercato di poter ascoltare l'album in vinile (ma pochissime furono le copie stampate all'esordio della Incus, nel 1970, senza più alcuna ristampa ufficiale, almeno in occidente), ed è naturalmente anche un ricordo affettuoso dello scomparso Derek Bailey, qui protagonista con Han Bennink ed Evan Parker. Il cd esce per l'etichetta Psi di Parker con nuova copertina, nuova titolazione e con un paio di brani in aggiunta al già ricco materiale originale. 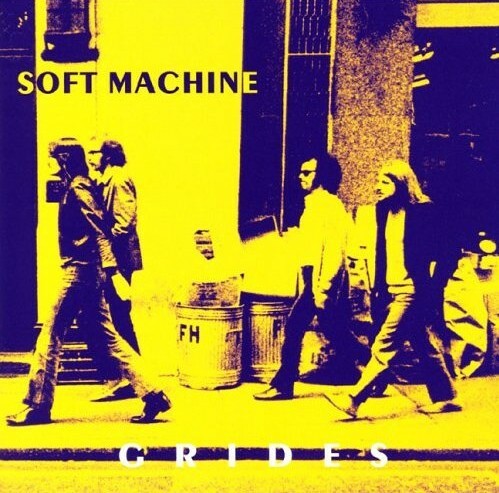 1) There was more improvisation here than in any recorded music that I had ever heard. I knew what improvisation smelled like and this was the richest, curiously complex, informationally dense, and most fragrant improvisation ever. 2) Parker, Bailey, and Bennink played like themselves, with completely original personal vocabularies, and they sounded like nobody else. 3) The guitar! Guitar was my favorite instrument to listen to and for some reason I could instantly grok what Derek was saying through his guitar, he was speaking my language and this was the first time I had ever had someone speak to me in this language. 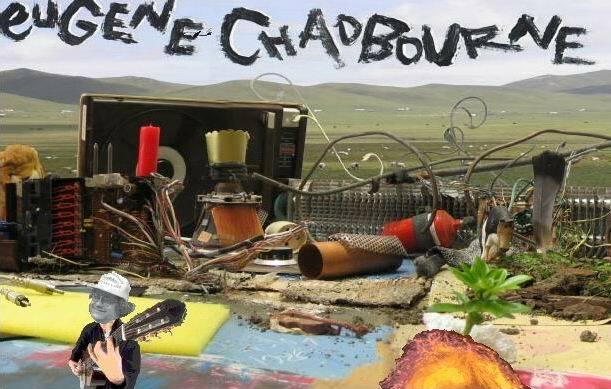 (Eugene Chadbourne has mentioned having a similar experience in the notes to his first solo guitar LP on Parachute, where he wrote of his initial exposure to Bailey). Ha raggiunto meritata notorietà in rete la bimba che su YouTube interpreta - con completo trasporto e assoluta pertinenza - un passaggio di un classico brano dei Magma, KA. I bambini possono questo, e altro... Brava, bravissima Jade! 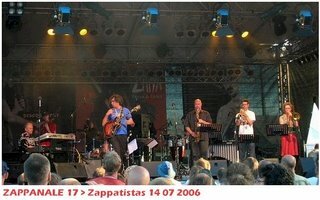 Si è tenuta pochi giorni fa presso Bad Doberan, nel nord della Germania, la 17esima edizione di Zappanale, il festival estivo tradizionalmente dedicato alle musiche di Frank Zappa (ma non solo). 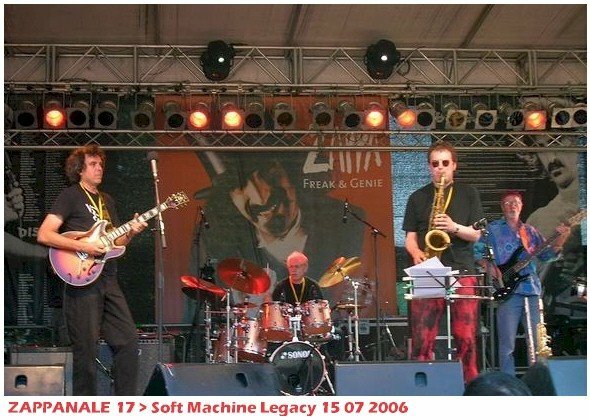 Quest'anno erano presenti anche Zappatistas (il gruppo guidato da John Etheridge, con Annie Whitehead tra gli altri, si è esibito il 14 luglio) e Soft Machine Legacy (il 15 luglio, con Theo Travis in formazione). Poche notti fa, la notte tra il 15 e il 16 luglio, ha registrato dal balcone di casa sua "Starry Night", un breve assolo di tromba assieme ai suoni dei bombardamenti aerei israeliani. Un gradito aggiornamento appare sul sito dedicato a Eugene Chadbourne, House of Chadula. Si tratta di una riorganizzazione un po' più funzionale, anche in senso cronologico, del catalogo di materiali non ufficiali e autoprodotti distribuiti direttamente dall'impareggiabile musicista; nessuno dei vecchi titoli è stato eliminato, anche se non risulta in elenco, ed è tuttora disponibile su richiesta. 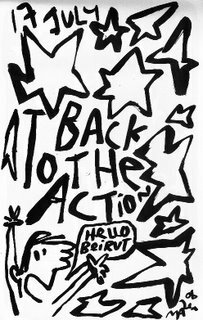 "Here comes a fistful of new CDs documenting new and old activity, plus the entire catalog is being remastered and reorganized. The distributor who suggested the cumbersome catalog numbers only made one order in five years, so to hell with his idea! No more numbers, just the titles of the discs, in a rough chronological order with years as guidelines. To make room for a steady stream of new releases, some titles from the old catalog are being temporarily retired. This doesn't mean they are not available, customers are free to ask for anything they want." The year 2006 marks the 40th anniversary of the release of ‘My Brother Makes The Noises For the Talkies’, the first record by The Bonzo Dog Doo-Dah Band. The part of the late great and sorely missed Vivian Stanshall was performed variously by Messrs Stephen Fry, Adrian Edmondson, Phill Jupitus and Paul Merton, making this the most exciting evening since the Secret Policemans Ball. For the first time since the group broke up in the early seventies a British stage once again resounded to the inspired flights of lunacy of the Bonzos favourites performed live. An evening dedicated to the surreal stage presentation of the highlights of the music of the Bonzos, including all of the hits, which have built a lasting musical legacy. Featuring original members: Neil Innes, Roger Ruskin Spear, Rodney Slater, Vernon Dudley Bohay Nowell, Sam Spoons, Bob Kerr and the Irrepressible "Legs" Larry Smith.House band members: Tom Fry, JJ Jones, Andy Roberts and Mickey Simmonds.Plus very special guests; Stephen Fry, Adrian Edmondson, Phill Jupitus and Paul Merton. "This year marks the 40th anniversary of the release of My Brother Makes the Noises for the Talkies, the first ever record by the Bonzo Dog Doo Dah Band. This concert, recorded at the start of the year, was held to celebrate their achievements. Many of the original band members appear, but sorely lack the dearly departed Vivian Stanshall. Step forward Bonzo Fanatics Stephen Fry, Adrian Edmondson, Phill Jupitus and Paul Merton, tickled pink to be chosen as stand-ins. The Dada inspired lunacy of the Bonzo's has never been equalled and the immortal classics such as Jollity Farm, My Pink Half Of The Drainpipe and the Urban Spaceman are still cherished by connoisseurs of original and humourous music everywhere. 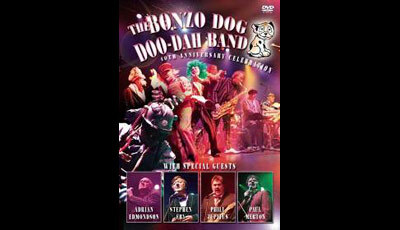 On January 29th 2006 the Astoria Theatre in London hosted a very special evening featuring the original Bonzo Dog Doo Dah Band plus special guests Adrian Edmondson, Stephen Fry, Phill Jupitus and Paul Merton. Naturally this amazing event sold out instantly and e-bay tickets were soon changing hands for hundreds of pounds to eager bidders. The DVD recorded that evening has gone on to become a best seller hailed as the “finest assembly of British musical and comedy talent since the Secret Policeman’s Ball”. In November of this year the show hits the road when the original band featuring founder members Neil Innes, Roger Ruskin Spear, Rodney Slater, Sam Spoons, Vernon Dudley Bohay Nowell, Bob Kerr and "Legs" Larry Smith set off on an extensive UK theatre tour. The part of the late, and much lamented, Vivian Stanshall will be performed by surprise celebrity guests from the world of music and comedy. From previous experience early booking is essential. This is a unique slice of Britsh pop history where Python, The Beatles, vaudeville and surrealism collide head on; and who knows?...you may finally get to see Eric Clapton on Ukelele! We have been thrilled and delighted by the huge response from to-day’s comedy performers and the constantly shifting array of celebrity special guest stars are certain to delight audiences as we move round the country. This time round there’s no fixed line up making each concert a unique experience. This is one tour in which each show is guaranteed to be different." Ieri si è spento Syd Barrett, per serie complicazioni legate al suo stato di diabetico. Aveva 60 anni. Stava a Cambridge, dove ha sempre vissuto dopo il ritiro dalle scene musicali, appartato da tutto quello che in qualche maniera poteva ricordargli il passato. 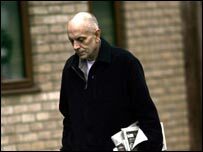 LONDON - Syd Barrett, the troubled Pink Floyd co-founder who spent his last years in reclusive anonymity, has died, the band said Tuesday. He was 60. The surviving members of Pink Floyd — David Gilmour, Nick Mason, Roger Waters and Richard Wright — said they were "very upset and sad to learn of Syd Barrett's death." "Syd was the guiding light of the early band lineup and leaves a legacy which continues to inspire," they said in a statement. 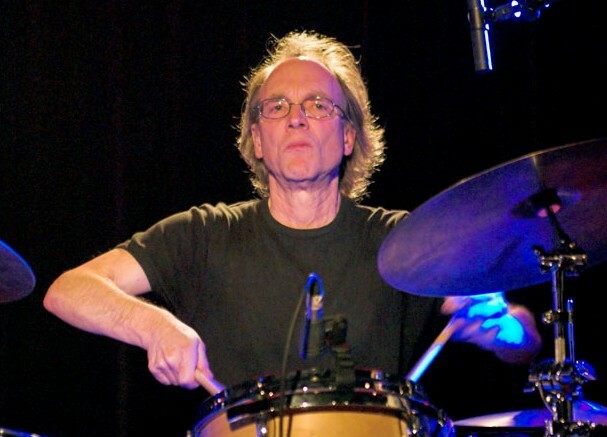 Barrett co-founded Pink Floyd in 1965 with Waters, Mason and Wright, and wrote many of the band's early songs. The group's jazz-infused rock and drug-laced, multimedia "happenings" made them darlings of the London psychedelic scene. The 1967 album "The Piper at the Gates of Dawn" — largely written by Barrett, who also played guitar — was a commercial and critical hit. But Barrett suffered from mental instability, exacerbated by his use of LSD. His behavior grew increasingly erratic, and he left the group in 1968 — five years before the release of Pink Floyd's most popular album, "Dark Side of the Moon" — to be replaced by Gilmour. Barrett released two solo albums — "The Madcap Laughs" and "Barrett" — but soon withdrew from the music business altogether. An album of previously unreleased material, "Opel," was issued in 1988. 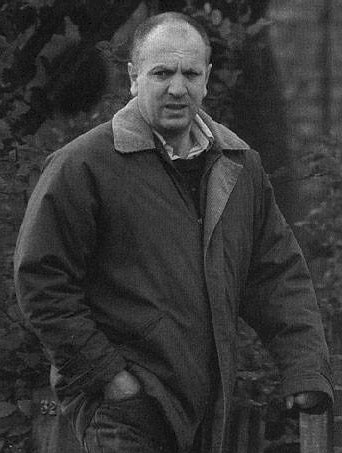 He reverted to his real name, Roger Barrett, and spent much of the rest of his life living quietly in his hometown of Cambridge, England. Moving into his mother's suburban house, he passed the time painting and tending the garden. His former bandmates made sure Barrett continued to receive royalties from his work with Pink Floyd. Despite his brief career, Barrett's fragile, wistful songs influenced many musicians, from David Bowie — who covered the Barrett track "See Emily Play" — to the other members of Pink Floyd, who recorded the album "Wish You Were Here" as a tribute to their troubled bandmate. It contained the song "Shine On You Crazy Diamond" — "Remember when you were young, you shone like the sun." The band also dwelt on themes of mental illness on the albums "Dark Side of the Moon" and "The Wall." 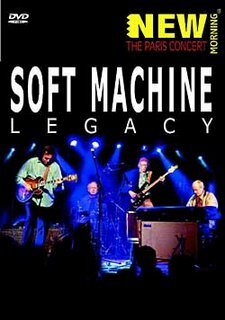 Esce il DVD di Soft Machine Legacy New Morning--The Paris Concert, anticipato qualche settimana fa dalla versione audio in doppio cd. 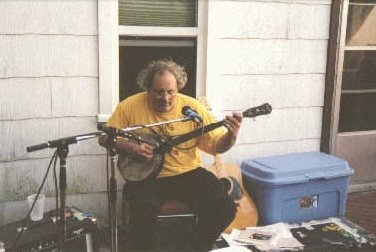 Lo pubblica ancora Inakustik. 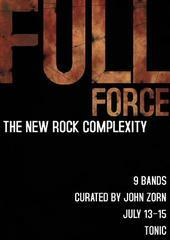 John Zorn è il curatore di "FULL FORCE : The new rock complexity", una rassegna musicale di tre giorni al Tonic newyorchese dal 13 al 15 luglio prossimi. Il prgramma presenta nove gruppi in concerto, più una tavola rotonda curata dallo stesso Zorn, che così annuncia: "This festival presents an exciting new generation of musicians who are expanding preconceived concepts of form and content in the rock idiom. Inspired by a wide variety of influences and using elements of advanced composition, improvisation, noise, rhythms and harmony, these groups bring a stimulating new energy to the musical firmament. Full Force hopes to shed new light on this exciting community of young musical explorers dedicated to complex, compositional rock."